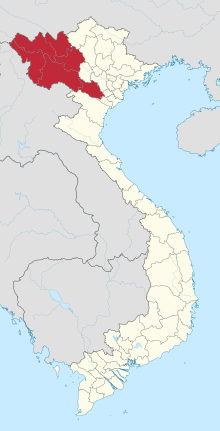 Tây Bắc (literally “Northwest”) is one of the regions of Vietnam, located in the mountainous northwestern part of the country. It consists of four provinces: Điëñ Bien, Lai Châu, Sơn La, and Hòa Bình Lào Cai and Yên Bái are usually seen as part of the Northwest region. It has a population of about two and a half million.